Luminant’s lignite production totals more than 30 million tons annually. Everything’s bigger in Texas — and that doesn’t stop with the state’s lignite mining scene. Luminant, the state’s top lignite producer, certainly took that saying literally when they kicked off a project last year to move a total of four massive draglines to new locations while quite literally moving forward in safety and productivity. The project, which was three years in the making, included moving draglines at Luminant’s Big Brown mine, Kosse mine and Martin Lake mines to newly developed mining areas, including its still-new Liberty complex. In all, it took two full seasons, and the draglines were moved more than 30 miles in central and eastern Texas. The producer and competitive generator retained global transportation engineering and implementation group Mammoet USA South for the moves; the company brought in a new, state-of-the-art 1,000 wheel vehicle to carry the four units, which varied in size from 6 million pounds to 13 million lb each. Nearly 60 self-propelled modular transporters and trailers powered by nine 600-horsepower engines were workhorses to get the project completed on time. 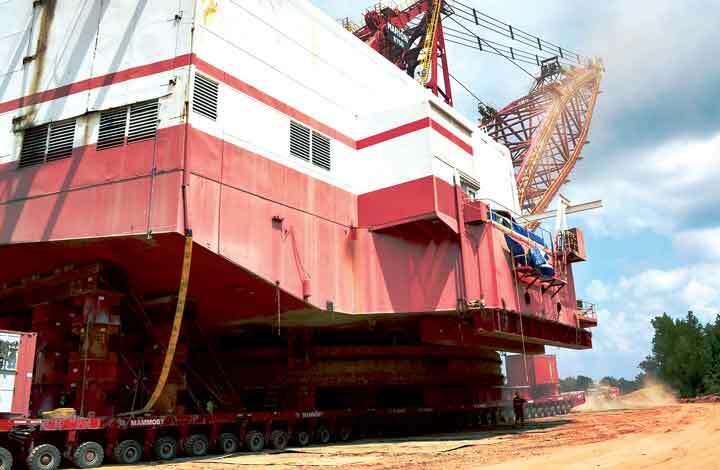 The timespan of years that it often takes to completely disassemble and rebuild a dragline, and months to walk it to a new home, was reduced significantly — and despite one of the moves extending 15 miles. 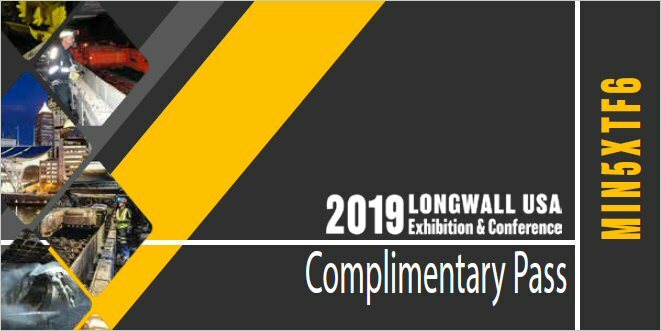 According to Steve Kopenitz, Luminant senior vice president of mining, doing it all safely, efficiently and cost effectively was crucial, so he was very pleased when the crews were able to shrink the relocation process to just a few weeks using the interconnected trailers. Because none of the units were torn apart and reassembled piece by piece, the cost savings were significant as well. Even better, Luminant was able to save lost production time since all the draglines were back in operation less than a week after completing each respective transport. Just like any other major project, extensive preparations and careful attention to details are required — but this massive move, of course, was four times bigger. 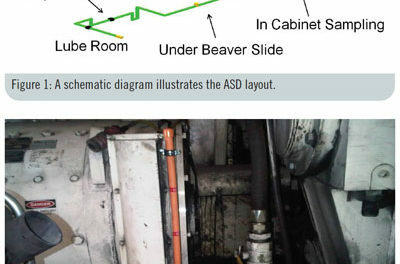 That made the scope of every aspect of the moves that much more complex, according to Luminant maintenance project and outage manager Brad Gadt. Luminant heavy-equipment relocations manager Brad Gadt assisted with logistics during the transport of Luminant’s D-32 dragline from the Beckville mine to the new Liberty mine. The BI 1350W, a 6.5-million-lb behemoth of a machine, was the first unit to be moved; it took nearly 500 tires to support the weight. With a boom measuring just under 300 ft, the dragline filled 24 interconnected trailers when it made its trek. 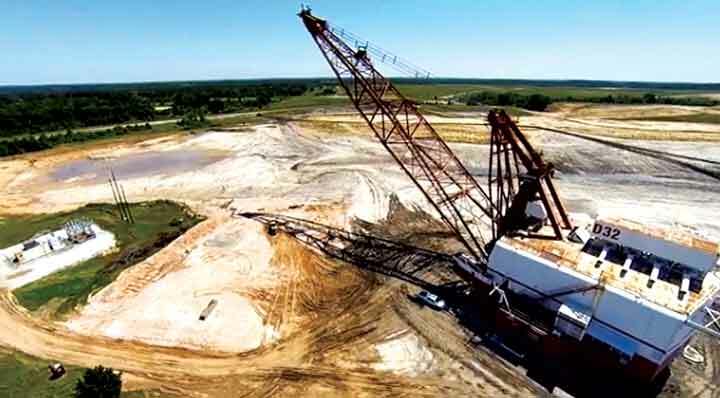 The dragline first began operating at the Big Brown mine, northeast of Fairfield, Freestone County, in 1978. It most recently functioned as the primary earth-mover to complete significant reclamation projects the company had planned. In its 43-year life span to date, the Big Brown operation has moved more than 2.3 billion cubic yards of earth and mined an estimated 175 million tons of lignite. At current, more than 15,000 acres at the mine have been reclaimed. The dragline’s bucket can hold 62 cubic yards of overburden, and the unit can move as much as 20 million cubic yards of earth each year. Kicking off the transport project, crews successfully walked the dragline across the mine’s neighboring county road in just a couple of hours and were able to bring the D-13 that much closer to its new home at the Turlington mine, 3 miles away. Once on the other side it was loaded onto the self-propelled modular transporters for the remainder of the move — which itself took just a few weeks. 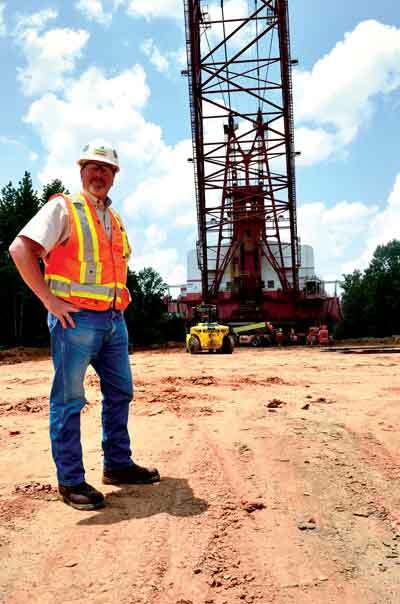 Jerry Poland, the company’s mining director of maintenance, added that the entire transport was done with the D-13 in one piece as part of a plan outlined by the company and partner Mammoet in 2013 and more than a year in the making, noted that only one other dragline had been moved using that method in North America. While the BI 157W in this move was not traveling outside of its home mine, the Kosse operation, there was still much preparation put into the plan as the transport was more than twice as long at 7 miles. The 8-million-lb machine and its 300-ft-long boom were carried by 30 interconnected trailers to the Kosse mine’s new Echo mining area. The lignite produced at the site will be used to fuel Luminant’s Oak Grove power plant, located in Robertson County southeast of Waco. That involved crossing a state highway, and the entire journey extended just three days. The D-52 was essentially moved on a 600-wheel vehicle controlled by one operator using a remote control. It became the third dragline in on the continent to use the move technique after the D-13. The current Kosse mine permit expires in February 2017, and a pending renewal application seeks to extend mining through 2020. The Liberty mine, near Henderson in east Texas, is Luminant’s newest operational addition. The 4,000-acre mining site began production in September 2014. Its presence is a large part of the company’s future, according to officials, especially as the Beckville mine nears the end of its mine life. “The state’s energy consumption continues to grow along with the economy, and Luminant’s new Liberty mine is there to help not only by producing more lignite for powering Texas, but also creating jobs and a positive economic impact for [the region],” Gadt said of the Rusk County facility, where Luminant has been a community member for more than four decades so far. It has big plans, too: the company projects Liberty will help supply an average of nearly 3 million tons of lignite annually to the nearby Martin Lake power plant. The D-32 and D-33 draglines are critical components to that plan, and their transport to Liberty was the largest effort of the group. The Model Marion 8750Ws each weigh in at 13 million lb with boom extending 330 ft. It took about 1,000 tires to support the weight of the units on their 8-mile and 15-mile strolls to the Liberty mine. Like the others, it took about 20 Luminant staff and 20 contractors to ensure each unit’s journey went by safely and efficiently. With disassembly and reassembly often taking many months, sometimes much longer, the producer and utility was pleased to wrap up each dragline move in a matter of weeks with no teardowns. Both Luminant and Mammoet are proud to report that the four moves were made successfully while they maintained a zero recordable injury record. “Safety was the main focus of the entire operation,” Poland said, adding that there was a dedicated Luminant safety representative on location each day of each transport. Even the challenges of the projects were overcome with grace, which officials attribute to thorough, comprehensive planning. With three years to prepare, they were sure that every facet was examined. Active reclamation activities are still ongoing across all of Luminan’s mine sites. The Liberty mine is now entering its second year of operation. None of the draglines received any upgrades as part of the transport project, lending well to the rapid time in which crews were able to make the moves. 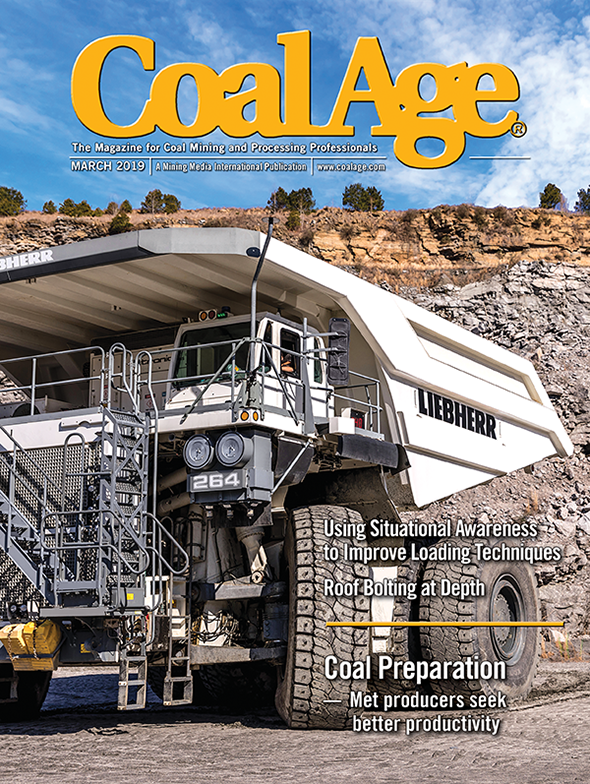 Company-wide safety programs are commonplace in today’s mining community, and the typically lofty goals respective operations set for themselves have varying levels of success. Luminant took the idea of a safety strategy and brought it full-circle with its comprehensive Human Performance Initiative (HPI) that is literally moving its people into an even safer future. Dubbed HPI and rolled out across all of Luminant’s operations in 2010 with the ultimate goal of achieving error-free performance, the plan is a different approach to work, according to Big Brown mine director and HPI mining fleet sponsor Don Johnson. The program’s tools include the phonetic alphabet, pre-job and post-job briefs, three-way communication, self-checking, and procedure use and adherence. All work together to help prevent operational scenarios where errors could be made while also adding clarity to verbal communications and strengthening working environments. “HPI tools are essential components of Luminant employees’ dedication to safety, continuous improvement and reliable operation,” Johnson noted. People come to work to do a good job. Error-likely situations are predictable, manageable and preventable. People achieve high levels of performance based largely on the encouragement and reinforcement received from leaders, peers and subordinates. Events may be avoided by understanding why mistakes occur and the application of the lessons learned from past events. 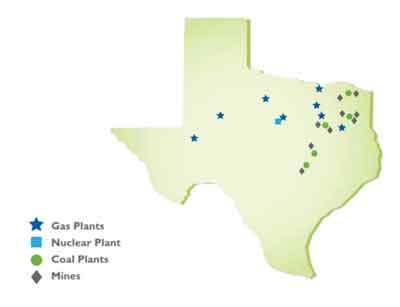 A map of Luminant’s mine holdings and plants in central and eastern Texas. One of the key principles of HPI focuses on recognizing positive behaviors and encouraging in-field coaching. HPI also encourages contractors to strive for error reductions. With the ultimate goal of zero recordable injuries across Luminant’s fleet, HPI helps employees engage in continuous learning and reduce human error. The fruits of these efforts are evident, according to Johnson. “[Our] near-miss reporting has increased significantly over the past five years,” Johnson said. Over the long term, the company’s expected benefits from HPI’s excellent human performance include a reduction of the number and consequences of errors across the organization, both in the systems and at the individual level and a near elimination of significant events. Additionally, it is projecting increased involvement by employees in the organization to achieve its goals, improvement of core and supporting processes in the organization, attention to issues at a lower level before they become significant issues; an improvement in quality and safety a reduction in total operating costs; and an increased trust by the organization’s stakeholders. Morrow Pacific Project: First Coal Terminal in Pacific Northwest? Can We Rely on Roof Bolters to Identify a Defective Roof?